Recently it has been announced that the Parkinson’s disease-associated gene PARK2 was found to be mutated in 1/3 of all types of tumours analysed in a particular study. For people with PARK2 associated Parkinson’s disease this news has come as a disturbing shock and we have been contacted by several frightened readers asking for clarification. In today’s post, we put the new research finding into context and discuss what it means for the people with PARK2-associated Parkinson’s disease. The DNA in almost every cell of your body provides the template for making a human being. All the necessary information is encoded in that amazing molecule. The basic foundations of that blueprint are the ‘nucleotides’ – which include the familiar A, C, T & Gs – that form pairs (called ‘base pairs’) and which then join together in long strings of DNA that we call ‘chromosomes’. If DNA provides the template for making a human being, however, it is the small variations (or ‘mutations’) in our individual DNA that ultimately makes each of us unique. And these variations come in different flavours: some can simply be a single mismatched base pair (also called a point-mutation or single nucleotide variant), while others are more complicated such as repeating copies of multiple base pairs. Most of the genetic variants that define who we are, we have had since conception, passed down to us from our parents. These are called ‘germ line’ mutations. Other mutations, which we pick up during life and are usually specific to a particular tissue or organ in the body (such as the liver or blood), are called ‘somatic’ mutations. In the case of germ line mutations, there are several sorts. A variant that has to be provided by both the parents for a condition to develop, is called an ‘autosomal recessive‘ variant; while in other cases only one copy of the variant – provided by just one of the parents – is needed for a condition to appear. This is called an ‘autosomal dominant’ condition. Many of these tiny genetic changes infer benefits, while other variants can result in changes that are of a more serious nature. What does genetics have to do with Parkinson’s disease? Approximately 15% of people with Parkinson disease have a family history of the condition – a grandfather, an aunt or cousin. For a long time researchers have noted this familial trend and suspected that genetics may play a role in the condition. About 10-20% of Parkinson’s disease cases can be accounted for by genetic variations that infer a higher risk of developing the condition. In people with ‘juvenile-onset’ (diagnosed under the age 20) or ‘early-onset’ Parkinson’s disease (diagnosed under the age 40), genetic variations can account for the majority of cases, while in later onset cases (>40 years of age) the frequency of genetic variations is more variable. For a very good review of the genetics of Parkinson’s disease – click here. There are definitely regions of DNA in which genetic variations can increase one’s risk of developing Parkinson’s disease. These regions are referred to as ‘PARK genes’. We currently know of 23 regions of DNA that contain mutations associated with increased risk of developing Parkinson’s disease. As a result, these areas of the DNA have been given the name of ‘PARK genes’. The region does not always refer to a particular gene, for example in the case of our old friend alpha synuclein, there are two PARK gene regions within the stretch of DNA that encodes alpha synuclein – that is to say, two PARK genes within the alpha synuclein gene. So please don’t think of each PARK genes as one particular gene. There can also be multiple genetic variations within a PARK gene that can increase the risk of developing Parkinson’s disease. The increased risk is not always the result of one particular mutation within a PARK gene region (Note: this is important to remember when considering the research report we will review below). In addition, some of the mutations within a PARK gene can be associated with increased risk of other conditions in addition to Parkinson’s disease. And this brings us to the research report that today’s post is focused on. One of the PARK genes (PARK2) has recently been in the news because it was reported that mutations within PARK2 were found in 2/3 of the cancer tumours analysed in the study. The investigators who conducted this study had previously found that mutations in the PARK2 gene could cause cancer in mice (Click here to read that report). To follow up this research, they decided to screen the DNA from a large number of tumours (more than 20,000 individual samples from at least 28 different types of tumours) for mutations within the PARK2 region. Remarkably, they found that approximately 30% of the samples had PARK2 mutations! In the case of lung adenocarcinomas, melanomas, bladder, ovarian, and pancreatic, more than 40% of the samples exhibited genetic variations related to PARK2. And other tumour samples had significantly reduced levels of PARK2 RNA. For example, two-thirds of glioma tumours had significantly reduced levels of PARK2 RNA. Hang on a second, what is PARK2? PARK2 is a region of DNA that has been associated with Parkinson’s disease. It lies on chromosome 6. You may recall from high school science class that a chromosomes is a section of our DNA, tightly wound up to make storage in cells a lot easier. Humans have 23 pairs of chromosomes. Several genes fall within the PARK2 region, but most of them are none-protein-coding genes (meaning that they do not give rise to proteins). 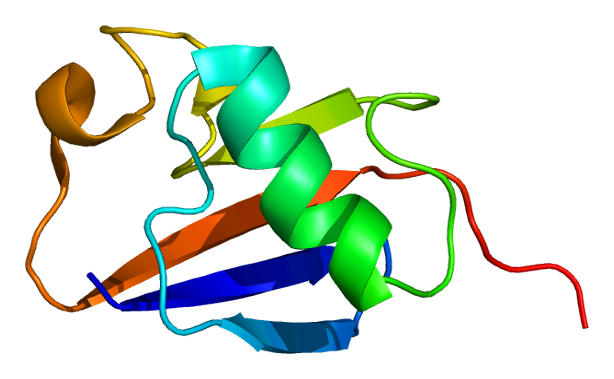 The PARK2 region does produce a protein, which is called Parkin. Particular genetic variants within the PARK2 regions result in an autosomal recessive early-onset form of Parkinson disease (diagnosed before 40 years of age). One recent study suggested that as many as half of the people with early-onset Parkinson’s disease have a PARK2 variation. 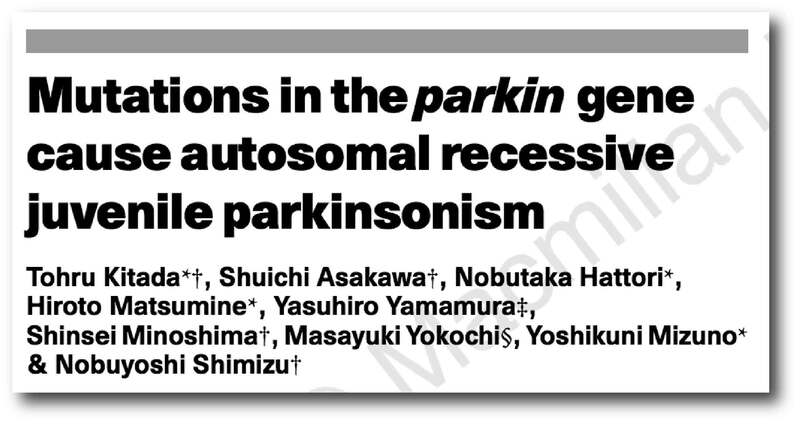 Click here for a good review of PARK2-related Parkinson’s disease. Ok, so if PARK2 was about Parkinson’s disease, what is it doing in cancer? Authors: Lee MH, Cho Y, Jung BC, Kim SH, Kang YW, Pan CH, Rhee KJ, Kim YS. Journal: Biochem Biophys Res Commun. 2015 Aug 14;464(1):63-9. This discovery made researchers re-designate PARK2 as a ‘tumour suppressor‘ – a gene that encodes a protein which can block the development of tumours. Now, if there is a genetic variant within a tumour suppressor – such as PARK2 – that blocks it from stopping dividing cells, there is the possibility of the cells continuing to divide and developing into a tumour. Without a properly functioning Parkin protein, rapidly dividing cells may just keep on dividing, encouraging the growth of a tumour. Interestingly, the reintroduction of Parkin into cancer cells results in the death of those cells – click here to read more on this. Oh no, I have a PARK2 mutation! Does this mean I am going to get cancer? Let us be very clear: It does not mean you are ‘going to get cancer’. Firstly, location, location, location – everything depends on where in the Parkin gene a mutation actually lies. There are 10 common mutations in the Parkin gene that can give rise to early-onset Parkinson’s disease, but only two of these are associated with an increased risk of cancer (they are R24P and R275W – red+black arrow heads in the image below – click here to read more about this). Parkin (PARK2) is one of the largest genes in humans (of the 24,000 protein encoding genes we have, only 18 are larger than Parkin). And while size does not really matter with regards to genetic mutations and cancer (the actual associated functions of a gene are more critical), given the size of Parkin it isn’t really surprising that it has a high number of trouble making mutations. But only two of the 13 cancer causing mutations are related to Parkinson’s. Thus it is important to beware of exactly where your mutation is on the gene. Second, in general, people with Parkinson’s disease actually have a 20-30% decreased risk of cancer (after you exclude melanoma, for which there is an significant increased risk and everyone in the community should be on the lookout for). There are approximately 140 genes that can promote or ‘drive’ tumour formation. But a typical tumour requires mutations in two to more of these “driver gene” for a tumour to actually develop. Thus a Parkin cancer-related mutation alone is very unlikely to cause cancer by itself. The new research published this week is interesting, but it does not automatically mean people with a PARK2 mutation will get cancer. So, summing up: Small variations in our DNA can play an important role in our risk of developing Parkinson’s disease. Some of those Parkinson’s associated variations can also infer risk of developing other diseases, such as cancer. Recently new research suggested that genetic variations in a Parkinson’s associated genetic region called PARK2 (or Parkin) are found in many forms of cancer. While the results of this research are very interesting, in isolation this information is not useful except in frightening people with PARK2 associated Parkinson’s disease. Cancers are very complex. The location of a mutation within a gene is important and generally more than cancer-related gene needs to be mutated before a tumour will develop. The media needs to be more careful with how they disseminate this information from new research reports. People who are aware that they have a particular genetic variation will be sensitive to any new information related to that genetic region. They will only naturally take the news badly if it is not put into proper context. So to the frightened PARK2 readers who contacted us requesting clarification, firstly: keep calm and carry on. Second, ask your physician about where exactly your PARK2 variation is exactly within the gene. If you require more information from that point on, we’ll be happy to help. In August of 2015, groups of scientists from North Carolina and Perth (Australia) published a report together in which they noted the high occurrence of Parkinson’s-like features in aging people with Autism. In this post we will have a look at what links (if any) there may be between Autism and Parkinson’s disease. Recent estimates suggest that the prevalence of Autistic Spectrum Disorders in US children is approximately 1.5 %. Autism is generally associated with children, and in this way it is almost a mirror opposite of Parkinson’s disease (which is usually associated with the elderly). A fair number of people who were diagnosed with Autism early in their lives are now reaching the age of retirement, but we know very little about what happens in this condition in the aged. Autism spectrum disorder (ASD) is a condition that affects social interaction, communication, interests and behaviour. In children with ASD, the symptoms are present before three years of age, although a diagnosis can sometimes be made after the age of three. It’s estimated that about 1 in every 100 people in the UK has ASD. More boys are diagnosed with the condition than girls. So what was reported in the study finding a connection between Autism and Parkinson’s disease? Last year two groups of researchers (from North Carolina, USA and Perth, Australia) noticed an interesting trend in some of the aging Autistic subjects they were observing. Title: High rates of parkinsonism in adults with autism. Authors: Starkstein S, Gellar S, Parlier M, Payne L, Piven J. Journal: Journal of Neurodev Disord. 2015;7(1):29. Study I (North Carolina) included 19 men with Autism (with an average age of 57 years). When the researchers investigated the cardinal features of Parkinson’s disease, they found that 22 % (N = 4) of the subjects exhibited bradykinesia (or slowness of movement), 16 % (N = 3) had a resting tremor, 32 % (N = 6) displayed rigidity, and 15 % (N = 2) had postural instability issues. In fact, three of the 19 subjects (16 %) actually met the criteria for a full diagnosis of Parkinson’s disease (one of who was already responding well to L-dopa treatment). Study II (Perth) was a larger study, involving 32 men and 5 women (with an average age of 51 years). 46 % (N = 17) of the subjects in this study exhibited bradykinesia, 19 % (N = 7) had a resting tremor, 19 % (N = 7) displayed rigidity, and 19 % (N = 7) had postural instability problems. In study II, 12 of the 37 subjects (32 %) met the full diagnostic criteria for Parkinson’s disease. Given this collective result, the researchers concluded that there may well be an increased frequency of Parkinsonism in the aged people with Autism. 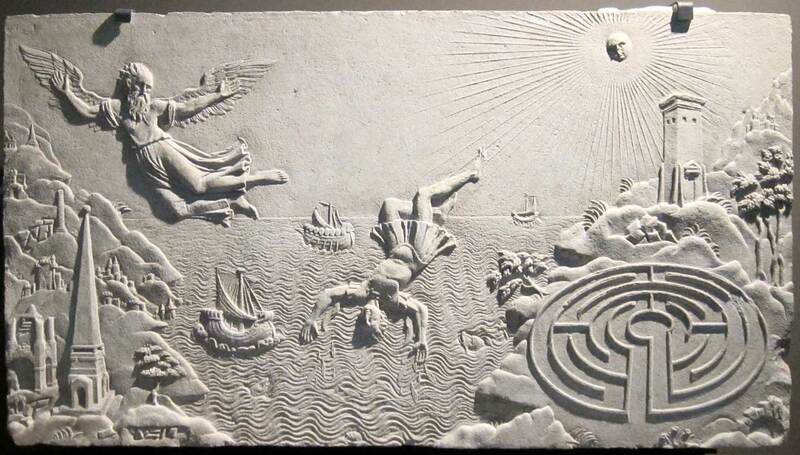 They emphasize, however, the need to replicate the study before definitive conclusions can be made. The short answer is: we don’t have a clue. 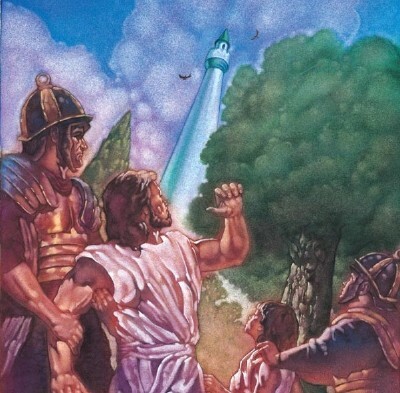 The results of this study need to be replicated a few times before we can conclusively say that there is a connection. There are, however, some interesting similarities between Autism and Parkinson’s disease, for example (as the NHS mentioned above) males are more affected than females in both conditions. There are genetic variations that both Parkinson’s and Autism share. Approximately 10-20% of people with Parkinson’s disease have a genetic variation in one of the PARK genes (we have discussed these before – click here to read that post). The genetics of Autism are less well understood. If you have one child with Autism, the risk for the next child also having the condition is only 2-6% (genetically speaking, it should be a 25-50% level of risk). There are, however, some genes associated with Autism and one of those genes is the Parkinson’s associated gene, PARK2. it has previously been reported that variants in the PARK2 gene (Parkin) in children with Autism (click here for more on this). It would be interesting to have a look at the brains of aged people with Autism. This could be done with brain scans (DAT-SCAN), but also at the postmortem stage to see if their brains have alpha synuclein clusters and Lewy bodies – the pathological characteristics of Parkinson’s disease. These studies may well be underway – we’ll keep an eye out for any reports. There are alternative explanations for the connection between Autism and Parkinson’s disease suggested by this study. For example, 36 of the 56 subjects involved in the two studies were on medication for their Autism (the medication is called neuroleptics). Those medications did not appear to explain the rates of parkinsonism in either study (after excluding subjects currently on neuroleptic medications, the frequency of parkinsonism was still 20 %). Most of the subjects in both studies have been prescribed neuroleptics at some point in their lives. Thus it is possible that long-term use of neuroleptics may have had the effect of increasing the risk for parkinsonism later in life. This is pure speculation, however, and yet to be tested. Any future studies would need to investigate this as a possibility. EDITOR’S NOTE: If you have a child or loved one on the Autism spectrum, it is important to understand that the study summarised here are novel results that are yet to be replicated. And if it turns out that adults with Autism do have a higher risk of developing Parkinson’s disease it does not necessarily mean that they will – simply that they are at greater risk than normal. It is best to consult a medical practitioner if you have further concerns. The banner at the today’s post was sourced from Sailing Autistic Seas.